Bangalore-based Goddard Technical Solutions Pvt. Ltd, which operates online lending platform Avail Finance, has raised $17.2 million (Rs 111 crore) in a fresh round of funding led by venture capital firm Matrix Partners, the startup said in a statement. Bhavish Aggarwal and Ankit Bhati, co-founders of cab-hailing app Ola; Binny Bansal, co-founder and group chief executive of e-commerce firm Flipkart; Kunal Shah, founder of mobile wallet firm FreeCharge; and Manish Patel, founder and CEO of payment solutions firm Mswipe, have also participated in the round. The investment includes equity funding, debt and credit lines from a few non-banking financial companies, the company said. Founded by Ankush Aggarwal and Tushar Mehndiratta in February 2017, Avail Finance focuses on blue-collar workers. “With low credit card penetration and the lack of structured credit history, this large segment of the Indian population resorts to availing credit from informal sources at high interest rates,” the company said in the statement. The startup will use the funds to expand the team and develop its technology, Aggarwal told TechCircle over a phone call. Aggarwal graduated from the University of Illinois at Urbana-Champaign and has worked with Ola, while Mehndiratta is an alumnus of IIT-Roorkee and has previously worked with Adobe. Aggarwal is the younger brother of Ola co-founder Bhavish Aggarwal. In February 2017, Avail Finance had raised an angel investment of $200,000 from Bhavish Aggarwal. “Consumer lending to the blue-collared workforce is a large, untapped and hard to solve opportunity. We are impressed by Avail’s differentiated sourcing and underwriting strategy. We believe it’s still early days of the India fin-tech story and will continue to invest in the space,” said Vikram Vaidyanathan, managing director, Matrix India, in a statement. Avail Finance joins a growing list of fin-tech startups in the lending, payments and personal finance segments that have been raising funds. 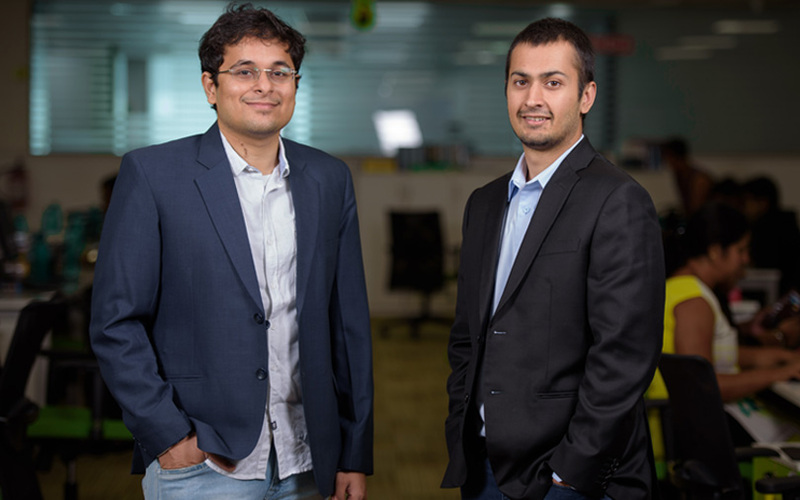 In January, Pune-based online lending platform EarlySalary raised Rs 100 crore ($15.7 million) in a Series B funding round led by Eight Roads Ventures India. In the same month, media conglomerate Bennett, Coleman and Company Ltd (BCCL) acquired a stake in a Mumbai-based online lending firm FinReq. In December 2017, online microlending platform Cash Suvidha raised $2.7 million (Rs 17.31 crore) in debt funding from six financial institutions. In the same month, FinBucket Pvt. Ltd, which runs an eponymous online marketplace for loans and investments, had raised Rs 12 crore ($1.8 million then) from Delhi-based early-stage venture capital firm Impanix Capital. Around the same time, payments gateway solutions provider Razorpay said it plans to venture into online lending, as part of its expansion and product diversification strategy. In the same month, digital SME lending platform FlexiLoans raised Rs 45 crore ($6.98 million then) in debt. In November last year, CreditMate, which operates an online lending platform for two-wheeler loans, raised an undisclosed amount from Paytm. In the same month, NBFC Prest Loans raised Rs 3.7 crore($570,000) from a group of angel investors.